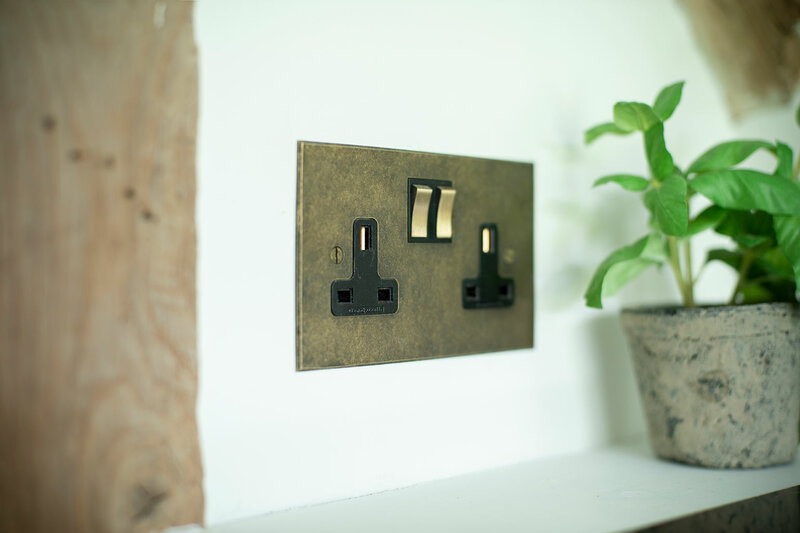 A beautiful, hand forged double plug socket made from solid natural brass and lightly antiqued for a classic, aged look that will add a touch of contemporary style to your room. 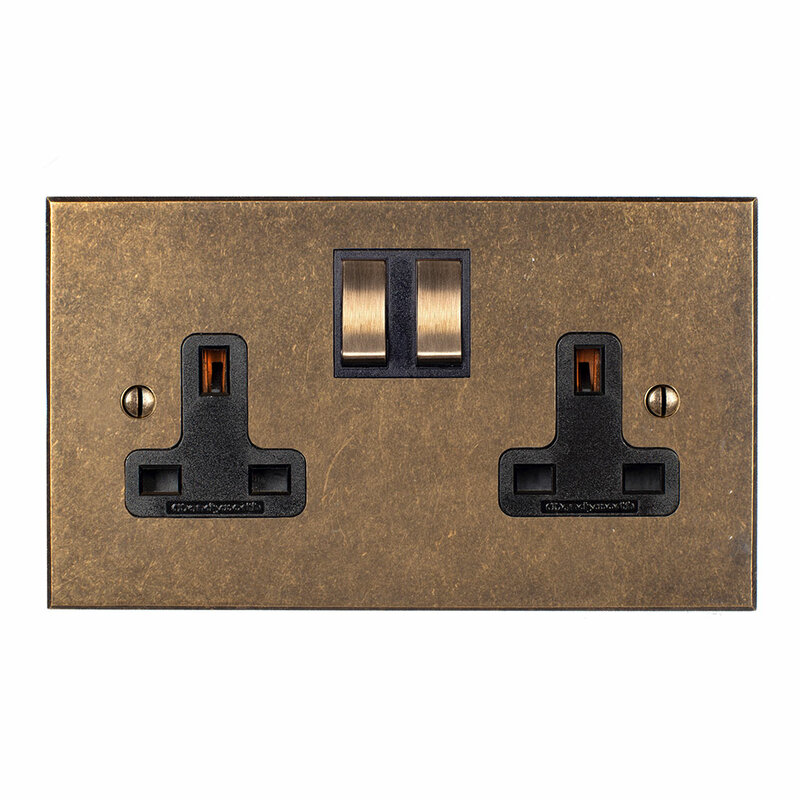 This plug socket design combines a 2 gang, 13amp switched, slimline design with black inserts and antique brass rocker switches that creates a sleek uniform look that will look as good in a modern home as it will a traditional one. 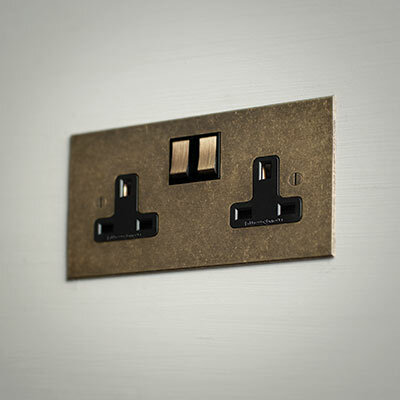 All our sockets are hand forged from high grade brass or steel and sit flush against the wall, with a raised bevelled or hammered edge for a decorative touch to suit any interior. 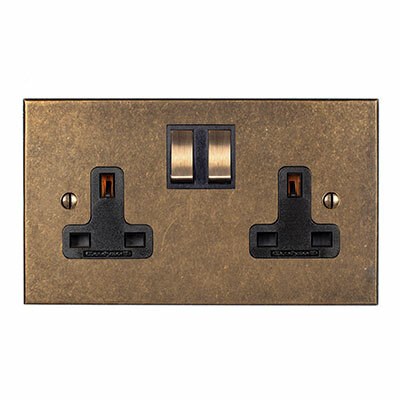 Our sockets are twin earthed, single pole with in-line terminals, ideal for controlling two circuits. 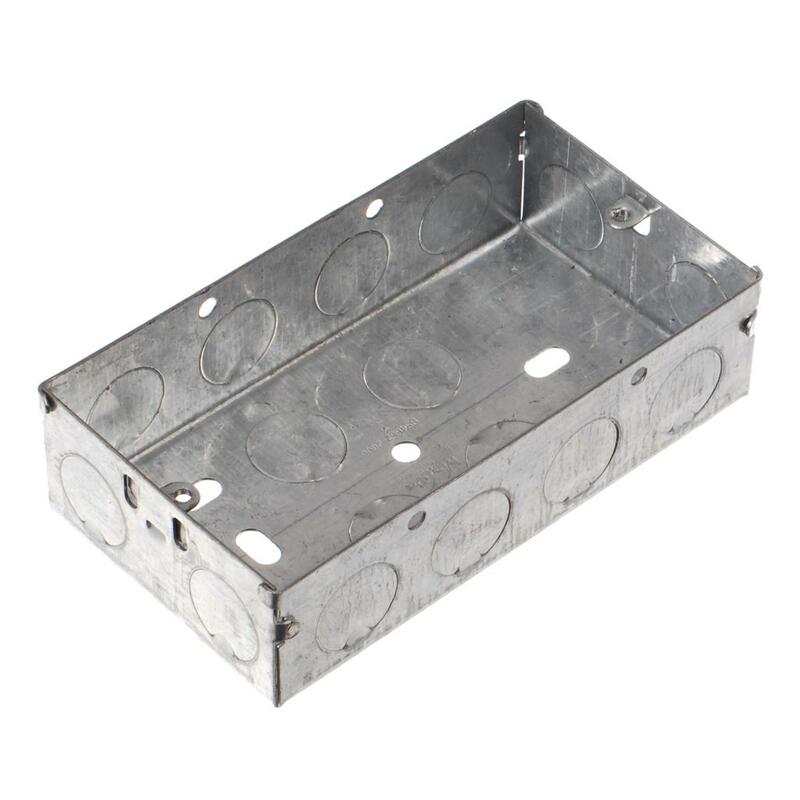 Our range of back boxes and surface mounted boxes to house your socket wiring. 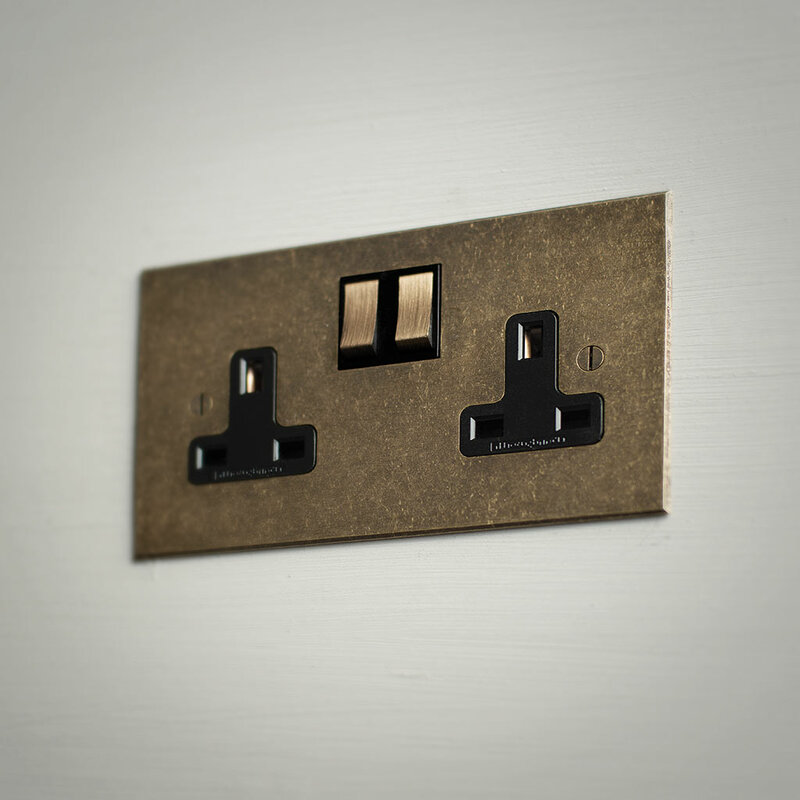 For a uniform look throughout your home, try pairing your Jim Lawrence lights with our stunning range of door and window furniture in the same finish. I must admit I was a bit sceptical over buying these but they look stunning. 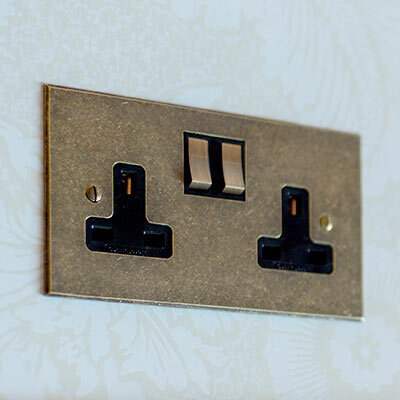 We have a few of them in our kitchen and they finish the place of very nicely. I will be buying more JL products again.